What a sad thing it is to see a someone close a grand career with a plagiarism in his mouth. 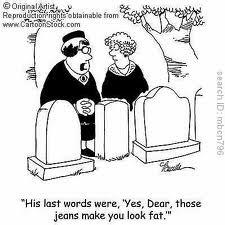 A distinguished man should be as particular about his last words as he is about his last breath. He should write them out on a slip of paper and take the judgment of his friends on them. He should never leave such a thing to the last hour of his life, and trust to an intellectual spirit at the last moment to enable him to say something smart with his latest gasp and launch into eternity with grandeur. No–a man is apt to be too much fagged and exhausted, both in body and mind, at such a time, to be reliable; and maybe the very thing he wants to say, he cannot think of to save him; and besides there are his weeping friends bothering around; and worse than all as likely as not he may have to deliver his last gasp before he is expecting to. There is hardly a case on record where a man came to his last moment unprepared and said a good thing; hardly a case where a man trusted to that last moment and did not make a solemn botch of it and go out of the world feeling absurd. There was Chesterfield. Lord Chesterfield had laboured all his life to build up the most shining reputation for affability and elegance of speech and manners the world has ever seen. And could you suppose he failed to appreciate the efficiency of characteristic “last words,” in the matter of seizing the successfully driven nail of such a reputation and clinching on the other side for ever? Not he. He prepared himself. He kept his eye on the clock and his finger on his pulse. He awaited his chance. And at last, when he knew his time was come, he pretended to think a new visitor had entered, and so, with the rattle in his throat emphasised for dramatic effect, he said to the servant, “Shin around, John, and get the gentleman a chair.” And so he died, amid thunders of applause. Next we have Benjamin Franklin. Franklin, the author of Poor Richard’s quaint sayings; Franklin the immortal axiom-builder, who used to sit up at nights reducing the rankest old threadbare platitudes to crisp and snappy maxims that had a nice, varnished, original look in their regimentals; who said, “Virtue is its own reward;” who said, “Procrastination is the thief of time;” who said, “Time and tide wait for no man” and “Necessity is the mother of invention;” good old Franklin, the Josh Billings of the eighteenth century–though, sooth to say, the latter transcends him in proverbial originality as much as he falls short of him in correctness of orthography. What sort of tactics did Franklin pursue? He pondered over his last words for as much as two weeks, and then when the time came, he said, “None but the brave deserve the fair,” and died happy. He could not have said a sweeter thing if he had lived till he was an idiot. Byron made a poor business of it, and could not think of anything to say, at the last moment but, “Augusta–sister–Lady Byron–tell Harriet Beecher Stowe”–etc., etc.,–but Shakespeare was ready and said, “England expects every man to do his duty!” and went off with splendid eclat. The Empress Josephine said, “Not for Jo-” and could get no further. Sir Walter Raleigh said, “Executioner, can I take your whetstone a moment, please?” though what for is not clear. And Red Jacket, the noblest Indian brave that ever wielded a tomahawk in defence of a friendless and persecuted race, expired with these touching words upon his lips, “Wawkawampanoosucwinnebayowallazvsagamoresaskatchewan.” There was not a dry eye in the wigwam. Let not this lesson be lost upon our public men. Let them take a healthy moment for preparation, and contrive some last words that shall be neat and to the point. 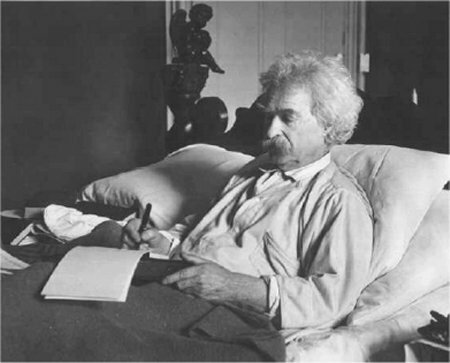 Mark Twain was a nineteenth-century comedian and author. A Wondering Fair contributor missed his deadline today (let me just say he’s Aussie…) so we figured let’s have Twain just for fun.